Home Health Prion Disease Studies Show Mad Cow Disease Caused by Acid pH! Diet Affects pH at Cellular Level — Mad Cow Disease is Caused by Acidic pH! As a raw foodist and vegan, I am not likely to be eating any kind of meat soon, let alone from a mad cow! The thing is — this is hard evidence of the importance of an alkaline-forming diet and lifestyle! Even better, it helps refute the argument that eating and drinking alkaline foods and drinks doesn’t affect the body’s overall pH. The answer is, of course, that it clearly does. Here’s how I come to that conclusion from my research on prion disease. A prion (protein+infection)is a misshapen protein which became an infectious agent when it lost it’s correct shape. You see, it is normal for proteins to fold or bend, but under some conditions they lose control and get permanently bent out of shape, becoming infections that cause a fatal diseases like mad cow or prion disease in cattle, scrapie in sheep and Creutzfeldt-Jakob disease (CJD) in people. There is no cure for these fatal conditions. You see, the electrical or electrostatic charge on proteins controls their shapes and functions. We learned about acid and alkaline environments in my other articles — alkaline foods have more electrons (i.e., energy) and can be electron donors. In an alkaline environment their are plenty of electrons for proteins to interact and change shape the way they are intended by nature. Conversely, the more acidic an environment, the more the interactions between proteins are disrupted by robbing proteins of their electrons, resulting unhealthy, misshapen proteins. At best, these misshapen proteins are denatured and impossible to properly digest. At worst, they become infectious proteins, i.e., prion disease. Cows are Happy, Raw Food Vegans … Like Me! Cows are raw vegans normally eating a healthy, alkaline-forming diet of fresh, yummy grass. They have a unique digestive system that evolved over millions of years to be able to digest grass with their 4 stomachs (actually, one stomach with four chambers). Of course, factory farms do not feed cows fresh grass. In fact, tjey feed cows the cheapest dead, processed feed they can get – even including dead cow parts to save a few sheckles. 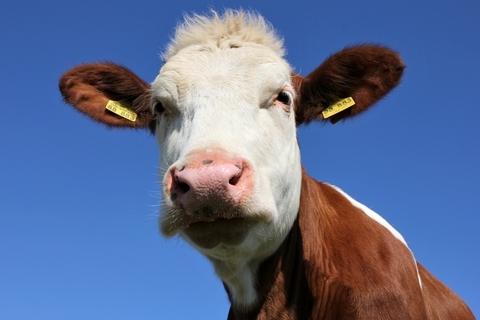 They have turned loving, gentle cows into a cannibals — and we wonder why they go mad! Like all heavily processed, dead food, commercial cattle feed is ACID-FORMING. It has none of the health-giving alkalinity of fresh grass. Add a few dead cows to the feed to improve the bottom line a bit and you get even more acids in the mix. Acids equals PRIONS equals MAD COWS! So my conclusion is that when you feed cows a acid-forming diet it creates an acidic environment within the bodies of the cow at the cellular level. Proteins in the cow exposed to this low acidic pH can become deadly, infectious PRIONS associated with Mad Cow or Prion Disease and Creutzfeldt-Jakob disease in people. This conclusion leads inevitably to the next — that cows, or people, fed a healthy, alkaline-forming raw vegan diet have a more alkaline pH at the cellular level, despite arguments to the contrary, and therefore PRIONS do not form. In fact, most of the health challenges we associate with modern civilization and poor lifestyle choices are likely to be prevented with an alkaline-forming lifestyles and diet! First, just don’t eat cows. As human being you should just as mad as these poor factory-farm cows! But unlike a cow, you can do something about it. Mu first rule is just don’t eat cows — or any meat at all. If still want to enjoy a little meat now and then, do it on a rare basis — like a special treat. Then eat only free-range, organic meats. And for your other meals, start enjoying healthy, alkaline-forming raw food and drink alkaline mineral water from your water ionizer! Factory farm cows don’t have these choices — but you do! van der Kamp MW, Daggett V. , DS, Detailed biophysical characterization of the acid-induced PrP(c) to PrP(β) conversion process, Department of Biological Sciences, University of Alberta, Edmonton, Alberta, Canada T6G 2E8. Zahn, R. (2000). NMR solution structure of the human prion protein. Proceedings of the National Academy of Sciences of the United States of America, 97(1), 145-150. Calzolai, L. (2003). 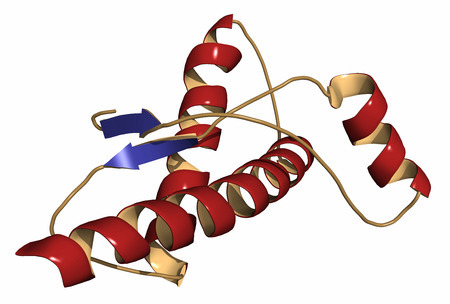 Influence of pH on NMR structure and stability of the human prion protein globular domain. The Journal of biological chemistry, 278(37), 35592-35596. Calzolai, L. (2000). NMR structures of three single-residue variants of the human prion protein. Proceedings of the National Academy of Sciences of the United States of America, 97(15), 8340-8345.
van der Kamp MW, Daggett V, Influence of pH on the human prion protein: insights into the early steps of misfolding, Biophys J. 2010 Oct 6;99(7):2289-98, Department of Bioengineering, University of Washington, Seattle, WA, USA. Caughey B, Baron GS. Prions and their partners in crime. Nature. 2006. Caughey B. The most infectious prion protein particles. Nature. 2005. 437:257-61. COLYNDA VU, JAMES ROBBLEE, KARIN M. WERNER, AND ROBERT FAIRMAN, ,Effects of charged amino acids at b and c heptad positions on specificity and stability of four-chain coiled coils, Department of Molecular, Cell, and Developmental Biology, Haverford College, Haverford, Pennsylvania 19041, 12/7/2000. Prusiner, S. B. (1991) Science 252, 1515-1522. Prusiner, S. B. (1998) Proc. Natl. Acad. Sci. USA 95, 13363-13383. Kaneko, K., Groth, D., Mehlhorn, I., Prusiner, S. B., et al. (1997) Proc. Natl. Acad. Riek, R., Hornemann, S., Wider, G., Billeter, M.,Glockshuber, R. & Wuthrich, K.
Lopez Garcia, F., Zahn, R., Riek, R. & Wuthrich, K. (2000) Proc. Natl. Acad. Sci. Caughey, B. W., Dong, A., Bhat, K. S., Ernst, D., Hayes, S. F. & Caughey,W. S.
Huang, Z., Fletterick, R. J., Cohen, F. J. & Prusiner, S. B. (1993) Proc. Natl. Acad. Barry, R. A., Tempst, P., Teplow, D. B., Hood, L. E., et al. (1985) Cell 40, 735-746.
] Sunde, M., Serpell, L. C., Bartlam, M., Fraser, P. E., Pepys, M. B. & Blake, C. C.
Swietnicki, W., Petersen, R., Gambetti, P. & Surewicz, W. K. (1997) J. Bio. Chem. DeMarco, M. L. & Daggett, V. (2004) Proc. Natl. Acad. Sci. USA 101, 2293-2298. Armen, R. S., DeMarco, M. L., Alonso, D. O. V. & Daggett, V. (2004) Proc. Natl. Acad. Sci. USA 101, 11622-11627. Muramoto, T., Scott, M., Cohen, F. E. & Prusiner, S. B. (1996) Proc. Natl. Acad. Sci. James, T. L. & Prusiner, S. B. (1995) J. Mol. Biol. 250, 514-526. Tagliavini, F. (1993) Nature 362, 543-546. Kuwata, K., Matumoto, T., Cheng, H., Nagayama, K., James, T. L. & Roder, H.
(2003) Proc. Natl. Acad. Sci. USA 100, 14790-14795. Ma, B. & Nussinov, R. Protein Sci (2002) 11 2335-2350.